After a tumultuous cycle of single-party minority government from 2004 to 2011, the 41st Parliament gave the Conservative Party a parliamentary majority. Many Canadians would think that the results of the last election give Prime Minister Harper unlimited latitude to pass all the policies that he so desires. But they would be wrong – at least, in theory – and they are missing the point entirely, because Parliament, not Cabinet, determines who governs. Sadly, most parliamentarians miss the point as well. The principle of responsible government, arguably the most important unwritten constitutional convention in modern Westminster parliamentarism, affirms Parliament’s ancient right to exercise its sovereignty, and underscores that the cabinet is subordinate to the House of Commons. In other words, the government can only govern inasmuch as it commands the confidence of a majority of the House of Commons. A single-party majority government can normally do so, but cabinet ought never to take that support for granted – and nor should government backbenchers unconditionally lend their support to cabinet. If a government fails to pass its budget, then the principle of responsible government dictates that it has lost the confidence of the House and can therefore no longer legally govern. But why is this? Because ultimately, the convention of responsible government, which developed throughout the latter half of the 18th century and became firmly entrenched during the reign of Queen Victoria, rests on principles even more ancient, hard won through centuries of strife and conflict. 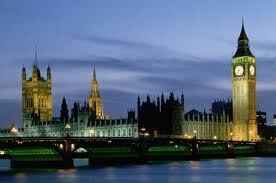 The core function of parliament is to pass supply. After the establishment of Magna Carta at Runnymede in 1215, the reigning monarch become legally and morally bound to convene a parliament in order to levy any taxes; without parliamentary approval, the king could not extract revenue from his kingdom. In the modern era, the cabinet exercises power on behalf of the crown. Some kings – particularly the Stuarts, who were fond of invoking the so-called “divine right of kings” in the era of European absolutism – attempted to usurp Parliament’s authority and bypass it altogether. King Charles I ultimately lost his head for his intransigence. The English fought a bloody civil war in the 1640s over the issue of whether sovereignty rests with the Crown or with Parliament – and Parliament won. The Restoration of 1661 reinstated the Stuarts, but it marked end of the absolute monarchy and birth of constitutional monarchy in which the king reigns, but Parliament rules. King James II fled the United Kingdom in disgrace in 1688 after clashing extensively with Parliament, ultimately because of his inability to accept the new constitutional arrangements. Parliament then deemed James II to have abdicated and changed the line of succession in order to crown William of Orange (a firmly Protestant Dutchman) and Mary Stuart new co-monarchs. 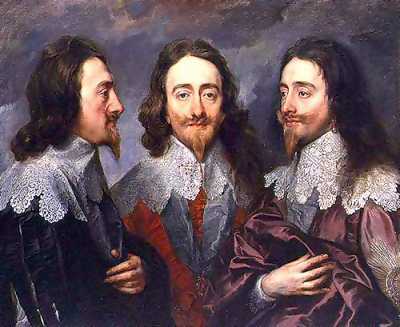 Charles I paid the price for pushing parliament too far. Parliament has flexed its muscle against intransigent kings, so why now is the Parliament of Canada so reticent to exercise its basic constitutional duties and authority? In an era of complacency where most MPs feel content to ignore our history and shirk their constitutional duty of holding the government to account for its expenditures, Conservative MP Mike Wallace stands out as the lone defender of parliamentarism in the House itself. Likewise, Parliamentary Budget Officer Kevin Page is an exemplary public servant who genuinely believes in his duty and clearly takes his position seriously, and he has excelled in exposing the potential government’s spending anomalies. But fundamentally, the existence of the Parliamentary Budget Office has only served to hasten and officialise the death of parliament’s core function – which parliament has now outsourced. In the 17th century, my English ancestors fought a long and bloody civil war in order to determine whether the crown or parliament governs and capped off that struggle with the Glorious Revolution and the English Bill of Rights of 1689; now in the 21st, without a shot fired and with little concerted opposition, parliamentarians have obliviously become the caretakers of parliament’s demise as the true sovereign power. In order that individual MPs uphold their sacred constitutional duties, Canada’s parliamentary system requires first not grand schemes of new reforms, but a renaissance of study and understanding of parliament’s core purpose: to pass supply, and its logical extension of holding the government to account for its expenditures. The latter necessarily means that the House withdraw its confidence when the government doesn’t meet with its satisfaction. Academics and commentators like me can lament the loss of parliamentarism ad naseum, but ultimately, individual Members of Parliament need to exercise their rights – indeed, their constitutional obligations – properly and faithfully before the true restoration of parliamentary sovereignty and power begins in earnest. I applaud Mike Wallace MP for taking up the parliamentarian’s standard and hope that he will convince his colleagues on both sides of the House to take their roles and privileges as parliamentarians more seriously and hold the government to account properly. This entry was posted in Parliament. Bookmark the permalink. The 40th Canadian parliament was dissolved after the “contempt of parliament” confidence vote. The budget was scheduled to be presented the following day, but consequently, that never happened. Thanks for an interesting read on our history. In the UK, there has long been a tradition of Cabinet needing to make sure that backbenchers will support programs in initiatives, which is a strong contrast to the Canadian model. Here, MPs are just expected to show up and vote the right way. There is also a similar freedom in the US, where congessmen and congresswomen cannot automatically be expected to support their parties’ initiatives without being convinced to do so. Niiice picture! Ok, I’ll make some thoughtful comments after I finish my thoughtful paper. Nitpick – While Charles II was no friend to Parliament, he was not the one who was rebelled against in 1688, because he died in 1685. His brother James II was the one who “abdicated”. Similarly, William of Orange ruled with his wife Mary, and was succeeded by Anne. That said, I agree with your points, even if your 17th century English royalty is a bit off.